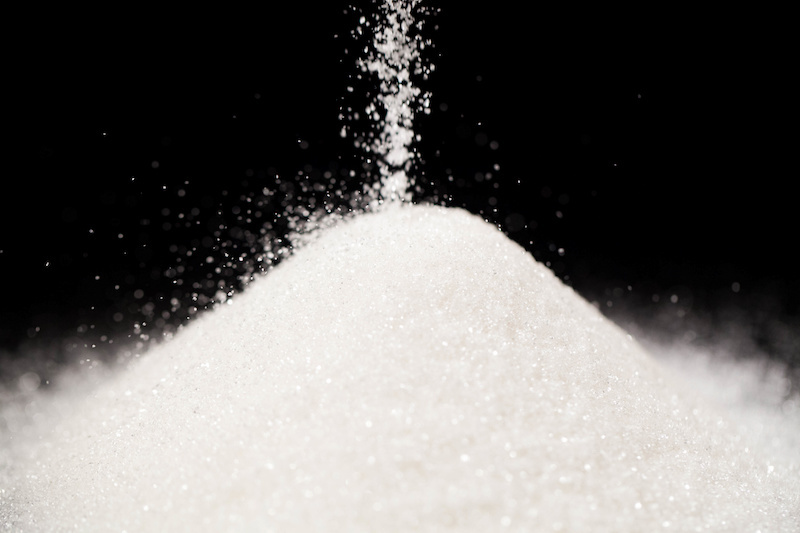 Some sugar is naturally occurring in food, like fructose in fruit or lactose in dairy products. But a lot of products also have added sugars — high-fructose corn syrup, cane sugar, syrup, confectioner’s sugar, honey, maltose, dextrose, to name a few. Sodas, candy, and baked goods are some of the main sources of added sugar but you’ll also find it in unexpected items, such as bread and protein bars. In the past, it may have been challenging to spot added sugar on nutrition labels. Now all added sugars are listed under total carbohydrates, so you can get a better handle on how much sugar you’re really consuming. The Dietary Guidelines for Americans recommends consuming less than 10% of calories per day from added sugars. The American Heart Association (AHA) recommends even less. The AHA recommends that women consume less than 25 grams, or 6 teaspoons, of added sugars per day. The recommendation for American men is less than 37 grams, or 9 teaspoons, of added sugar per day. Unlike type 1 diabetes, which is caused by a malfunctioning pancreas, most cases of type 2 diabetes are related to weight and lifestyle. Type 2 diabetes usually develops slowly — a decade or longer. It generally progresses from normal blood glucose to impaired fasting glucose (IFG) or impaired glucose tolerance (IGT) to diabetes. When the glucose level is slightly higher than normal, some people refer to it as prediabetes. Although a high sugar diet can be a contributor it’s not the only risk factor. It’s usually caused by a combination of genetic and environmental factors — some that can be controlled and some that can’t. Several risk factors increase a person’s chances of developing the disease. If you have any of the above risk factors, it would be a good idea to get tested to see if your blood sugar is high. Even when it’s normal, if there are any risk factors on the list that you can change, you should get started. In many cases, it takes only modest lifestyle changes to prevent or delay type 2 diabetes. Eat a healthy diet, maintain a healthy weight and move your body. For instance, research shows that people can prevent or delay type 2 diabetes if they lose 5 to 7 percent of their body weight and get at least one-half hour of moderate physical activity five days a week.